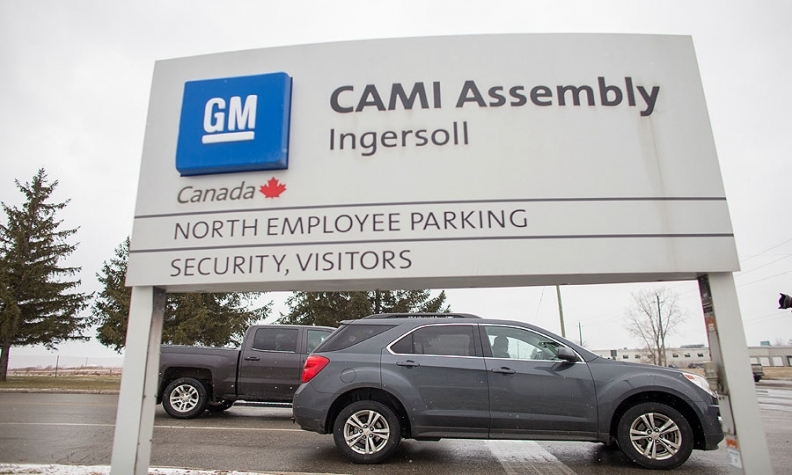 The union representing 2,500 striking workers who assemble the Chevrolet Equinox at GM Canada's CAMI assembly plant in Ingersoll, Ont., says it has invited management to get talks rolling again in hopes of reaching a settlement. Employees struck the automaker at 10:59 p.m. ET on Sept. 17, once the contract expired and a tentative deal had not been reached. Dan Borthwick, president of Unifor Local 88, told Automotive News Canada the formal invitation to talk came with a caveat. The union will only agree to negotiate if GM Canada says it will designate the plant the automaker’s lead producer of the Chevrolet Equinox to ensure production and jobs aren't shifted to Mexico. “They have to understand the issues remain the same. We need a job security document, a lead plant letter,” Borthwick said. Borthwick said the union still wants a quick resolution to the strike and wants to minimize its effects on its members, suppliers and the community of Ingersoll. The effects of the strike have been spreading all week, with Canadian parts maker Magna International saying Wednesday it is suspending the supply of parts to the CAMI plant. The parts maker says the decision affects the output at a few of its facilities in Ontario, but did not provide more details. Unifor Local 199, which represents workers in St. Catharines, who build transmissions for the Equinox, said the automaker has warned about 300 employees at St. Catharines Powertrain will be temporarily laid off Sept. 25 if a deal at CAMI isn’t reached by Friday. GM did not immediately respond to a request for comment Thursday. In a statement on Sunday, it said the two sides made progress on issues in recent weeks and encouraged Unifor to resume negotiations. The union said it has been in daily contact with GM since the strike began but no formal negotiations have taken place. Job security has become more of an issue for the union since GM shifted production of its Terrain SUV from the plant to Mexico earlier this year at a loss of more than 600 positions at CAMI. About 200 people took early retirement or buyouts.